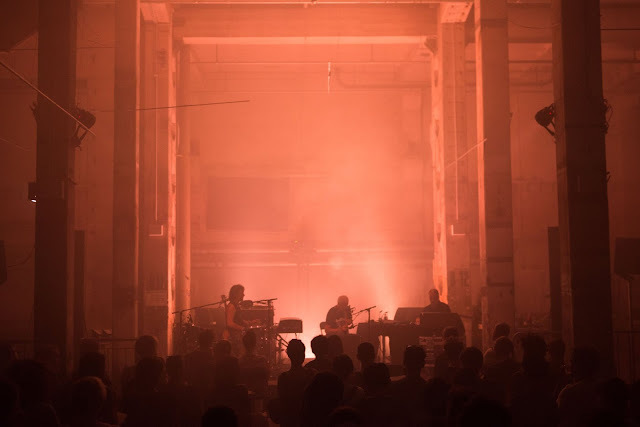 After the premiere at Cafe Oto where we presented our vinyl reissue from The Original Recordings from 1986 at Astral Industries in February, this time The Chi Factory played at the wonderful Atonal Festival in Berlin, to present the Bamboo Recordings by Koos & Hanyo. We had a lot of fun and got nice response. The Kraftwerk building is really impressive. We don't have the instruments from the old days anymore, like self made stuff, log drums, found objects, an old Teac recorder, and more, but we performed in Berlin with 3 members of the original Chi set up; Hanyo on drums, bass, Rhodes, and vocals, Koos on his bamboo flutes and on clarinet, and me with a laptop. I was a member of The Chi Factory from January 2016 until December 2016. Chi Factory photos by Camille Blake and Helge Mundt. 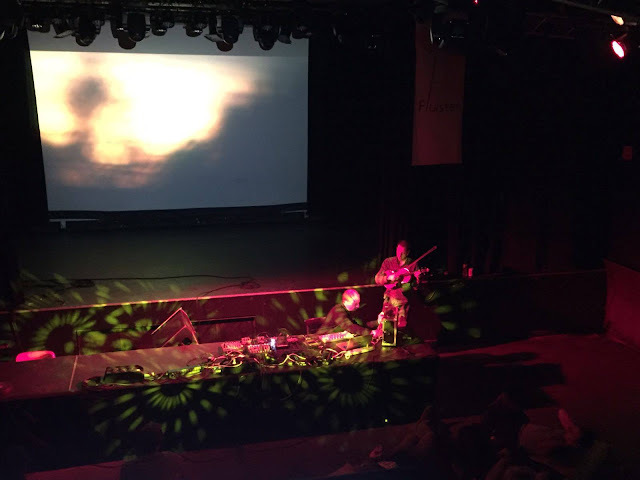 The concert was an experimental mixture of jazz, contemporary, traditional music and ambient, using acoustic instruments , field recordings, many voice samples and electronics. 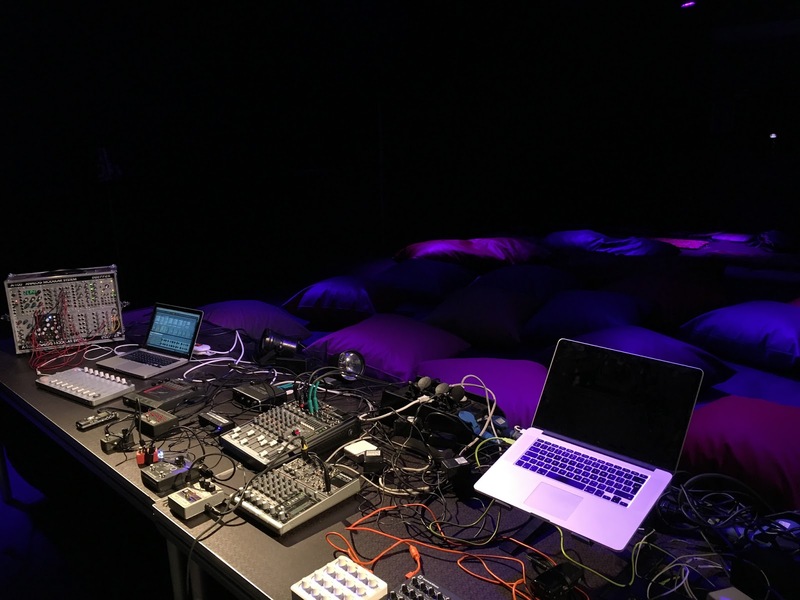 Thank you Atonal! This morning I had a small recording session at my home with Maryana Golovchenko. She sang a beautiful traditional entitled "Oj, Na Gori Suhyj Dub" (A dry oak on the mountain). I added some synth and just finished the mix. It sounds dreamy .. a bit like a little meditation. 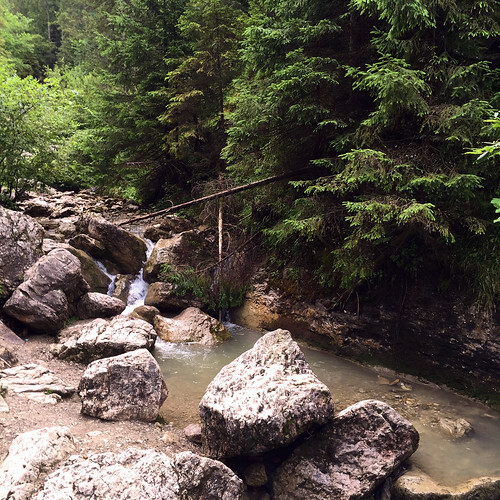 It's funny when I told her I just returned from Biała Woda, we realized I was not really that far from where this tune actually comes from, which is a place in the area of the Eastern Carpathian Mountains.. 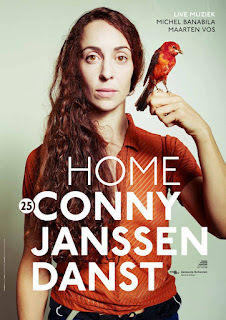 Note: this song was extended with a beautiful cello melody by Maarten Vos in November during the preparations for HOME, a dance performance by Conny Janssen Danst. 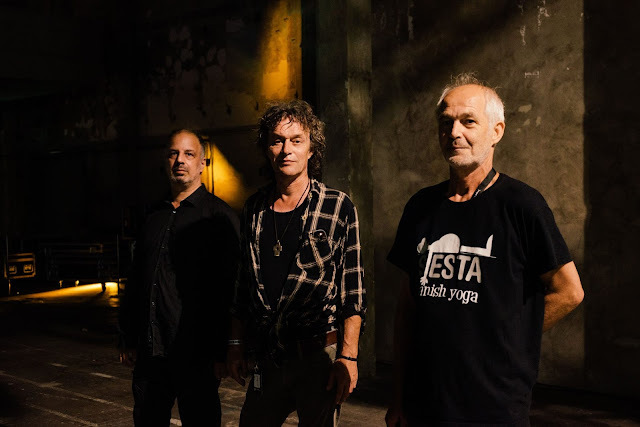 "Oj, Na Gori Suhyj Dub" is now available on CD at the performances of HOME. "... compilatie vol slow music + tijdloos ambient-meesterwerk.."
Starting to explore my field recordings from the Biała Woda Rezerwat. Grid Corrections (a one minute) from Gerco de Ruijter on Vimeo. This film was made mining the Thomas Jefferson's Grid in Google Earth. By superimposing a rectangular grid on the earth surface, a grid built from exact square miles, the spherical deviations have to be fixed. After all, the grid has only two dimensions. Made possible with the generous support of the Mondrian Fund, Amsterdam. 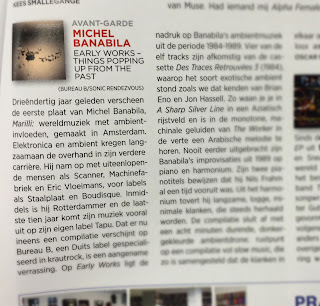 A new review in Belgium magazine Peek-A-Boo for Things Popping Up From The Past this week! We Are The Aliens from Michel Banabila on Vimeo. June was a very rainy month, which was why Michel Banabila spent a lot of time watching NASA videos about the Juno mission. Or, maybe I’d better rephrase that: after watching the NASA videos he spent a lot of time creating this album which was inspired by the Juno mission. In retrospect, we can be happy this was no ordinary sunny month, because inspired him to create this great album! Starting out with a piano theme that demonstrates why his music works very well in theatre and documentary soundtrack settings, the tracks focus on outer space – becoming more abstract while never losing their melodic, human, touch. Radboud Mens for Izotope edits and check. 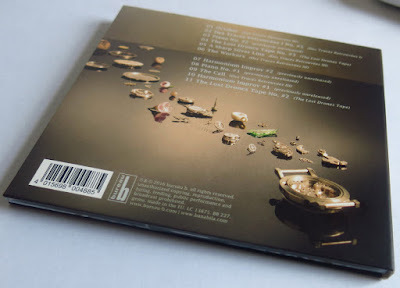 Salar Asid for contributed sample on "Earth Visitor" (violin). Oscar Roelof Peterse for recording the piano on "Earth Visitor." Tapu, my cat, for contributed sample on "Earth Visitor" (meow). Rutger Zuydervelt, Gunther Buskies, Marc Weidenbaum, Joeri Mol and Hanyo van Oosterom for essential feedback. 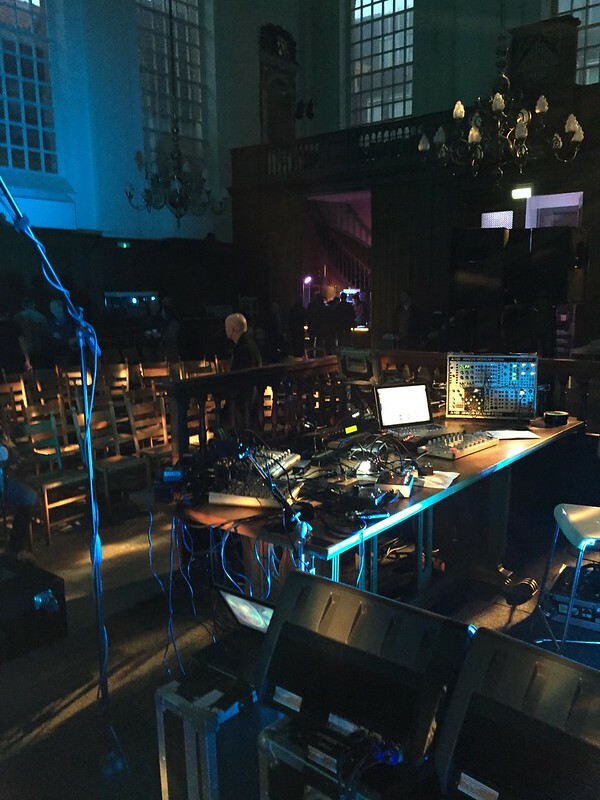 Earth Visitor remixed: live at Valkhof 2016 from Michel Banabila on Vimeo. piano, synthesizer, sampler, field recordings, voice, guitar. 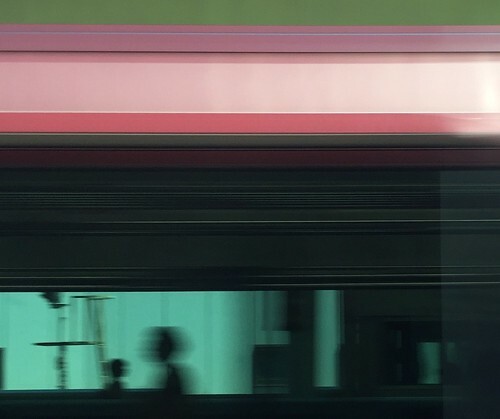 I took the cover photo from a train from Tokyo to Narita , 2016. Passing By from Michel Banabila on Vimeo. Banabila releases music since 1983 and has produced musical scores for numerous films, documentaries, theatre plays and choreographies. 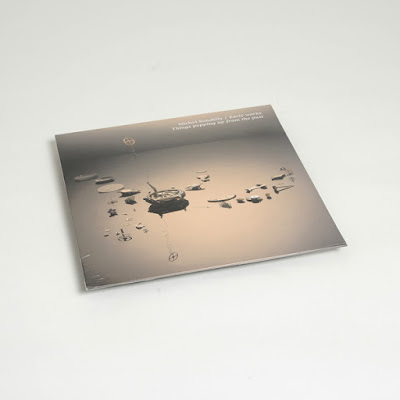 This album collects 11 songs from his early years, released on tape, vinyl EPs or limited CD editions: beautiful minimal loop-based electronica, neo-classical pieces and ambient drone music. If the classical pieces represent the Old World as framed by the new, then the more recognizably “electronic” work here is likewise most at home in a fictional place, an idealized zone. 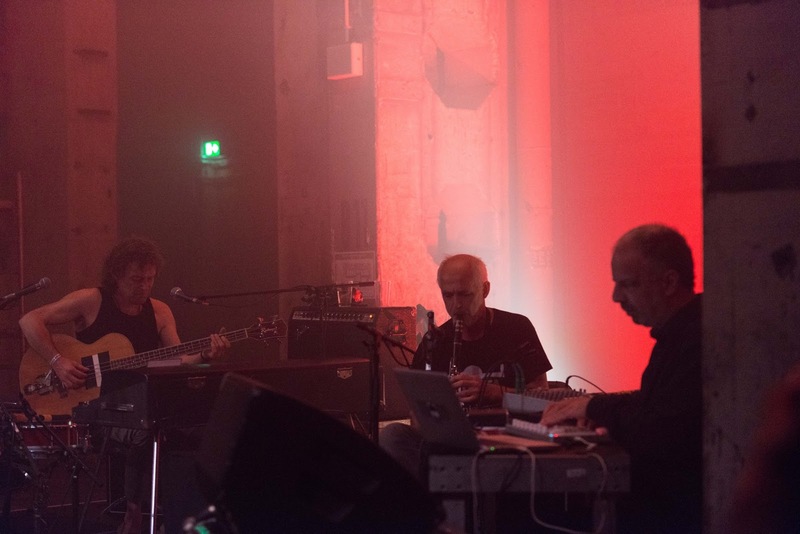 That zone is a quiet neighborhood in the Fourth World, to borrow Jon Hassell’s terminology, one in which digital tools render something that is, for all its technological dependency, ultimately a form of folk music — an otherworldly folk music for another time. At that time and in that place, a percussive guitar figure lends momentum to ethereal synthesized choral vocals. Fidgety percussion plays amid a fierce but restrained guitar line (there are echoes of Laurie Anderson and Adrian Belew). An ambiguous and elongated drone, thick with subliminal activity, beautiful in its toxic anxiety, suggests dire activity on the horizon. 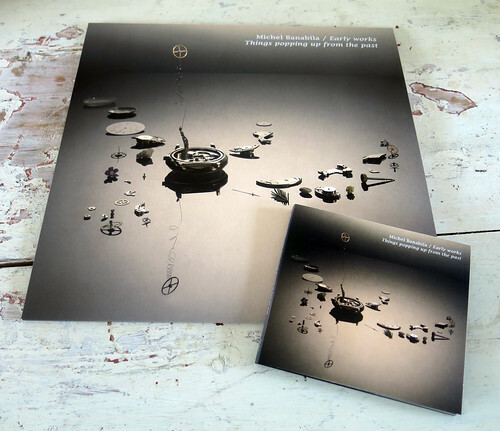 Alors que son album Marilli figure en bonne place dans notre wishlist, le label Bureau B a eu la bonne idée de ressortir du placard les splendides harmonies de Michel Banabila. Une invitation à la rêverie qu’on ne peut refuser, à l’instar du premier morceau October… On repeat. Roland S10 sampler, piano, found objects, harmonium. 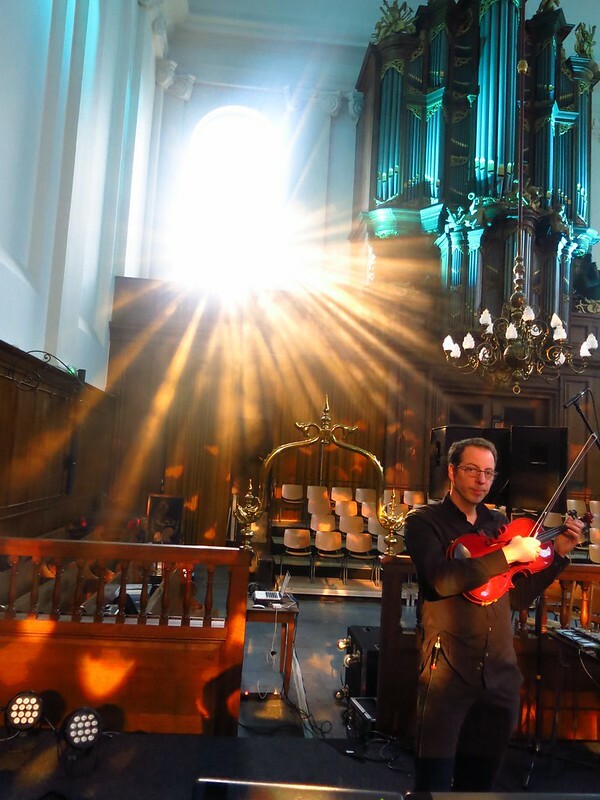 Track 1: ovation guitar by Piet Legerstee. 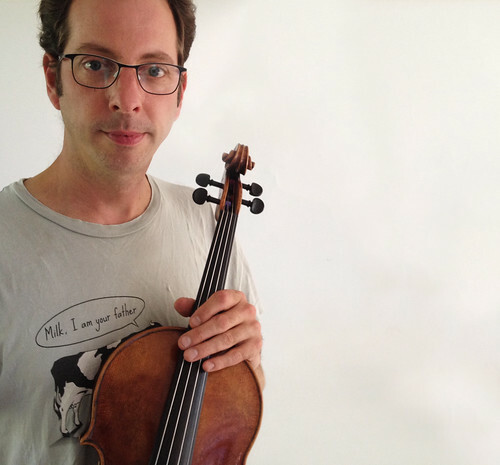 Track 2: drone by Peter Riebeek. Track 2: recorded by Peter Riebeek. Track 1, 5, 6, 9: recorded by Jurgen Brouwer. 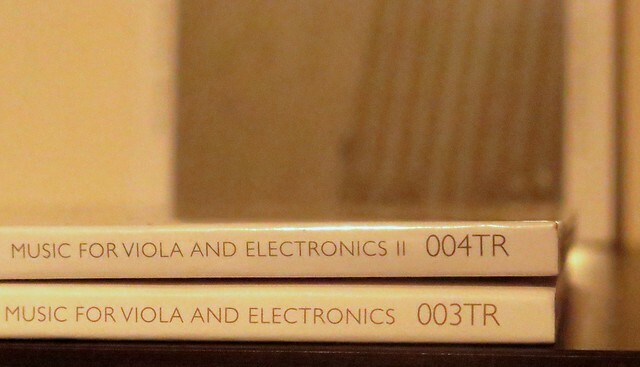 Track 3, 4, 7, 8, 10, 11: recorded by Michel Banabila. Track 2: with kind permission by Trichord Records. 2016 ℗ + © all tracks published by Tapete Songs. Liner notes booklet & inlay by Marc Weidenbaum. Audio edits for this compilation: Radboud Mens. 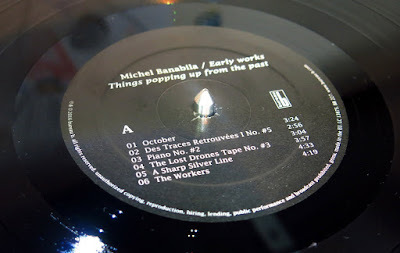 Track 1 - 11: composed by Michel Banabila. Photography by Marielle Uiterwijk Winkel. Artwork design by Kerstin Holzwarth. Everything on Drawing with Closed Eyes are sampled parts from track 1, pitched down with a sampler. Drawing with closed eyes is a game I enjoy playing with my daughter. It's exciting to see what we come up with, never knowing exactly what images will reveal themselves ;-) Doing track 2 with the sampler felt a bit the same, since I cannot read or write notes and had no clue what I was actually doing. Just trusted my ears to find the combinations of chords that would go nicely together. So one mix was a fifth lower and one mix was an octave lower. I placed these two lowered files below the original in Logic and subsequently composed the track by cutting from all three files. Sounds were added on the melodica and I asked Keimpe to play saxonett and Ilya Ziblat Shay to play sound effects on contrabass. For Audio to Midi I asked Radboud Mens to use Ableton Live to transform the audio from track 2 into midi notes, as I was curious about the info of the lowered chords from the sampler. But the mix was too complex and the result of the midi notes sounded a bit weird. However, these midi notes played by piano samples on higher speed, using an extremely short decay inspired me to make one last track with it. Finally I added some field recording and melodica sounds. 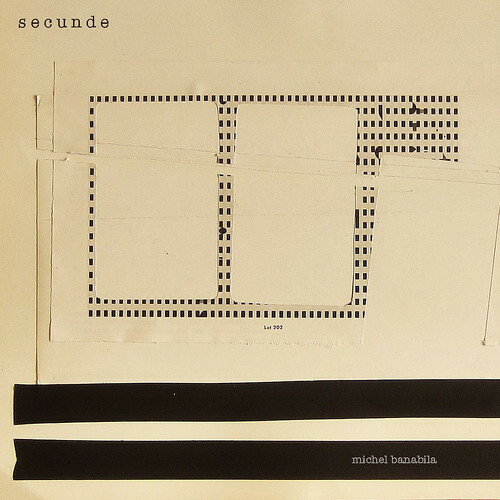 Secunde: Tiny Elements / Drawing With Closed Eyes from Michel Banabila on Vimeo. 2016 © Tapu Records / 015 TR. 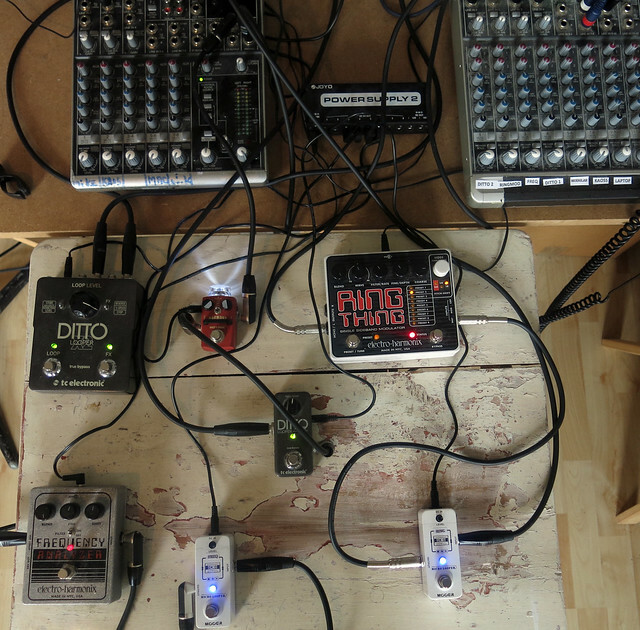 Michel Banabila: feedback, A-100 modular, WebSDR, fieldrecording. Edited and recorded in Logic Pro. 2015 © + ℗ Tapu Records. feedback, A-100 modular, monotron, webSDR, fieldrecording, tape. 1,2,4,5,6 composed by Michel Banabila. 3 composed by Michel Banabila & Radboud Mens. 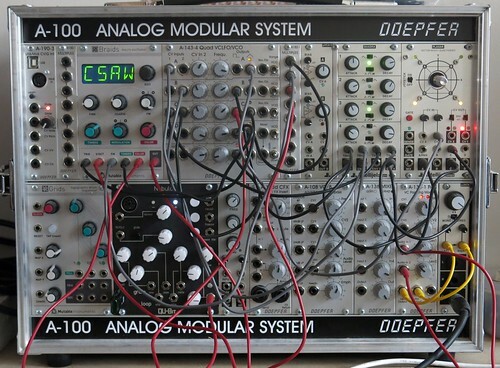 feedback, A-100 modular, webSDR, soft.synths, sampler, fieldrecordings. guitar - feedback sounds [1,3,6]. 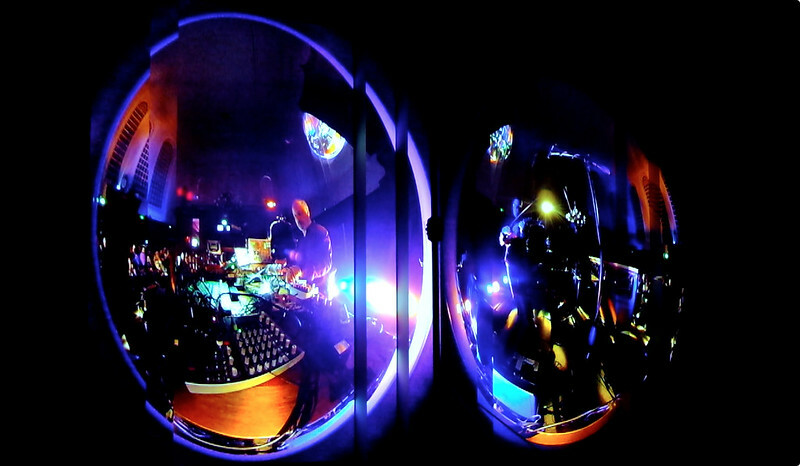 Track 2 recorded live at Noodlebar, PinkPank Rotterdam, January 23th, 2016. 2016 © + ℗ Tapu Records. 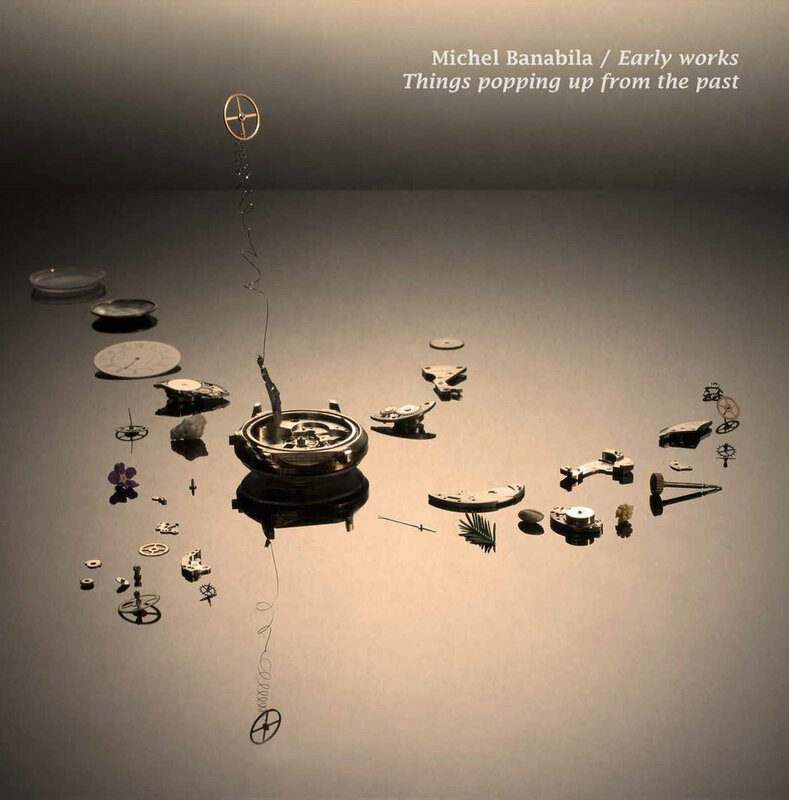 3 from Michel Banabila on Vimeo. 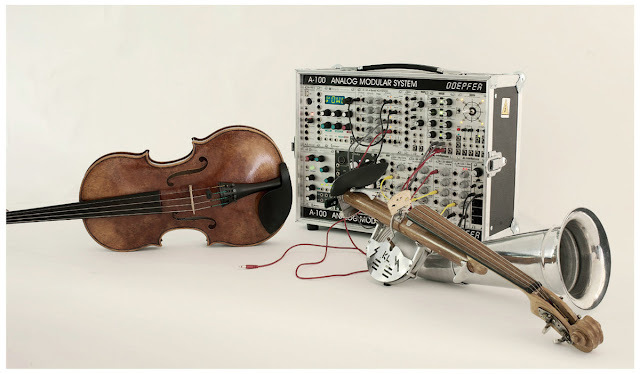 MUSIC FOR VIOLA AND ELECTRONICS. 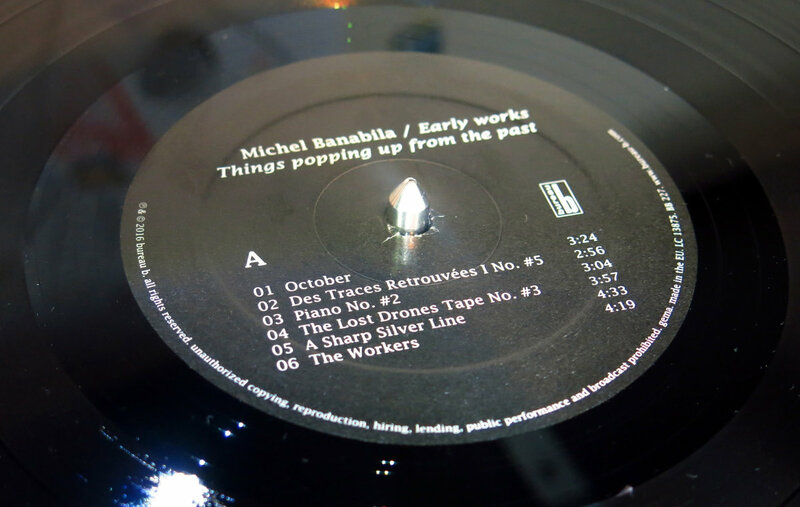 Banabila & Van Geel live at Rewire 2016 (snippets) from Michel Banabila on Vimeo. Large spreads of what the title indicates : at first majestic, and already embodying drama (dynamically), resonating with cavernous snippets, inserts, crackling while the former large spreads play on. 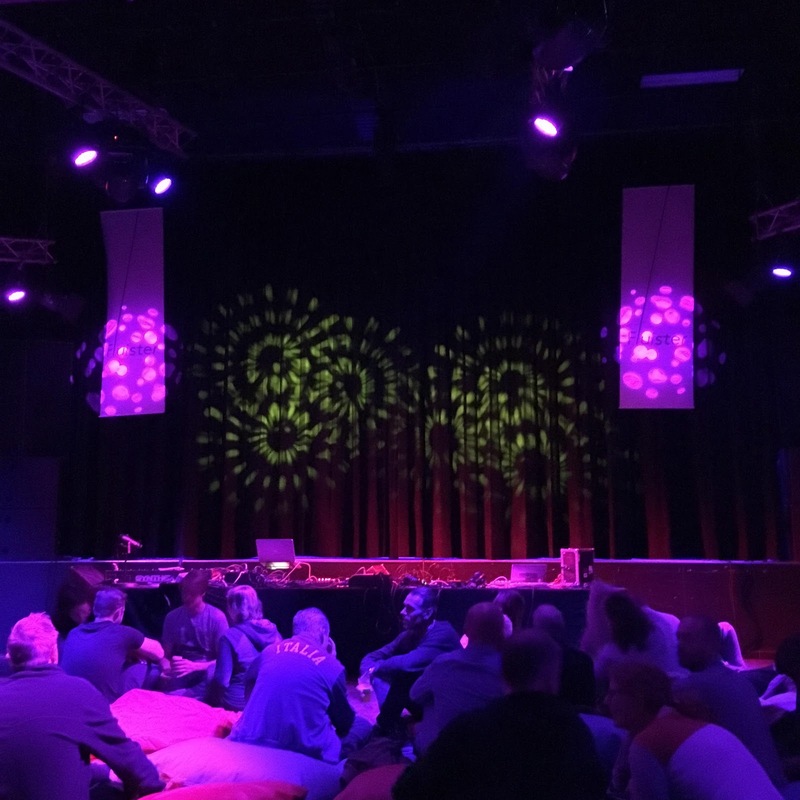 The trip is a quiet one, or so it seems, sliding along the harmonizing instruments (Stroh violin, viola, A-100 analog synth). A much more adventurous part opens, then : increasingly dynamic, with more conflict or at least drama, confrontation between the elements at play here > more fractured; then another story going on (or is it the same, turning different ?) 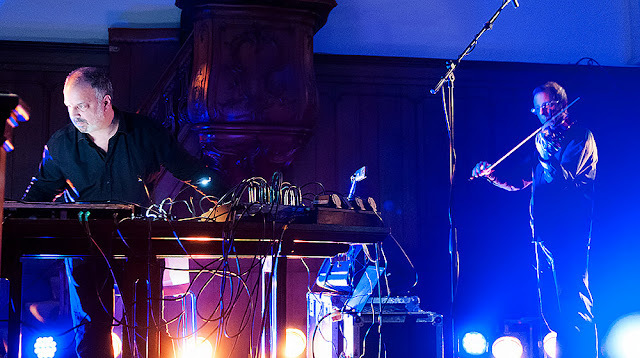 : battle soundings, electronics exploding, ACTION ! Different-paced events, exciting sequences, gunshots booming to shake you from this fast and colorful lullaby. Strings extend and sustain (excessively) this moment, the instant, while rubbings of ambiguous origins occur. There’s a throbbing interaction between the various instrument (electronics being not the least); Save maybe for the first piece, and of this I’m not even sure, the music here is that of a moving landscape, a line being followed, a narrative unfolding before our very ears, through which the sounds, their location and their dynamics encapsulate their drama. Which is probably the idea. Five lush, texturally complex and excursive works. ----> Carl Kruger's Top 20 for 2014. Cover photo by Gerco de Ruijter. Inside photo by Marielle Uiterwijk Winkel. Track 1-4 mixed by Joeri Saal and mastered by Zlaya Hadzich. at Studio 150 Amsterdam. Track 5 mixed by Michel Banabila. and mastered by Zlaya Hadzich at Studio 150 Amsterdam. 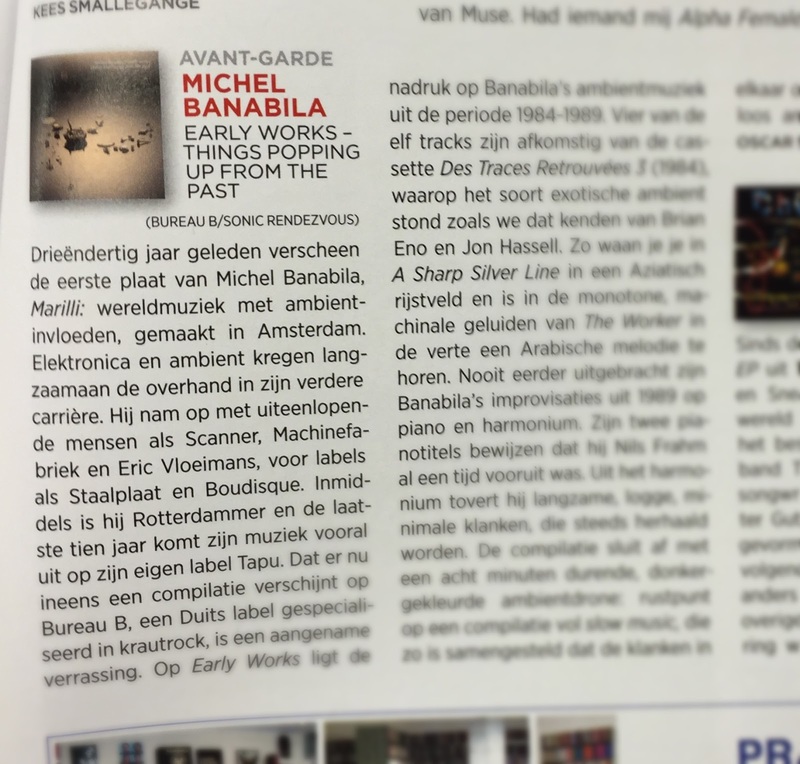 All tracks composed by Michel Banabila & Oene van Geel. A special thanks to Dennis Verschoor and Pieter Moermans for advise on the Doepfer A-100. We would like to acknowledge financial support from the Fonds Podiumkunsten for the realization of this album. 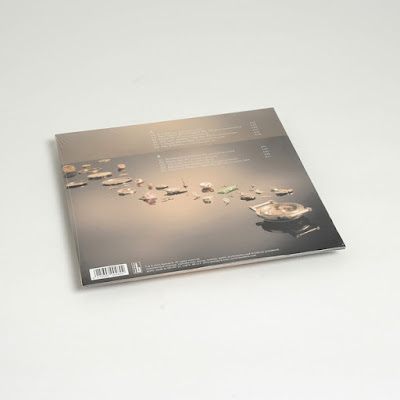 On Music for viola and electronics II, Banabila and Van Geel explore further into their neo classical mix of viola improvisations, ambient textures, minimal compositions, and modular experiments. 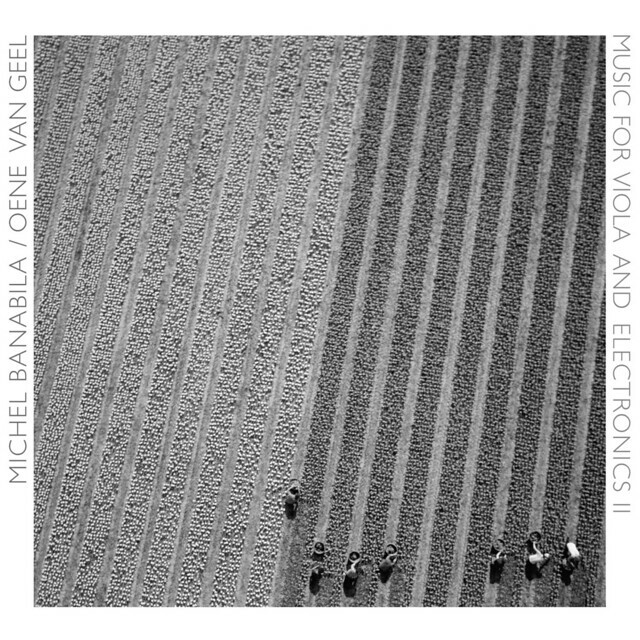 After their collabs on 'Music for viola and electronics', (2014) Michel Banabila and Oene van Geel decided to continue their recording sessions, again combining viola with electronics. 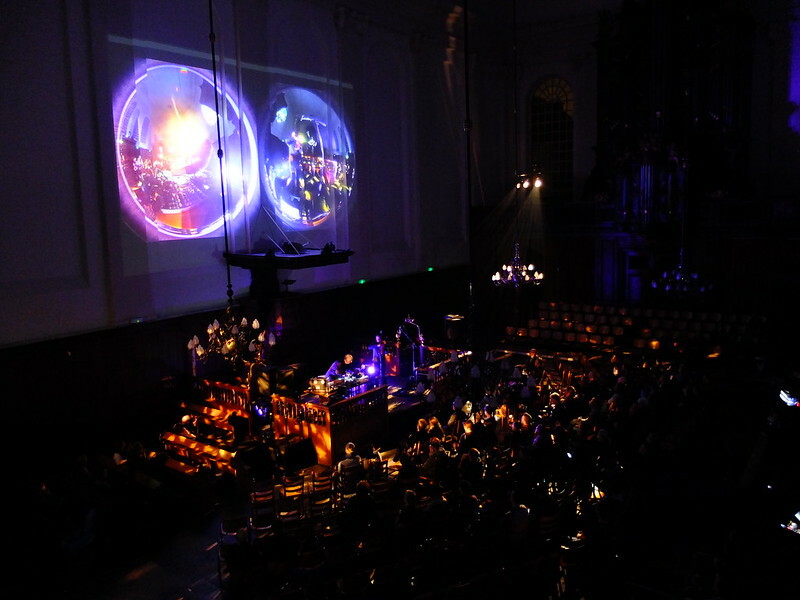 This time they invited Eric Vloeimans on trumpet, Keimpe de Jong on contrabas clarinet, Joost Kroon on drums, Emile Visser on cello and Radboud Mens for Ableton programming. Emile plays in Zapp String Quartet with Oene, Eric performed live with Oene and The Nordenians, Eric and Michel worked before on their award winning album VoizNoiz 3, Keimpe and Michel performed together in a theatre play, Radboud and Michel worked on ZoomWorld and many other projects together. 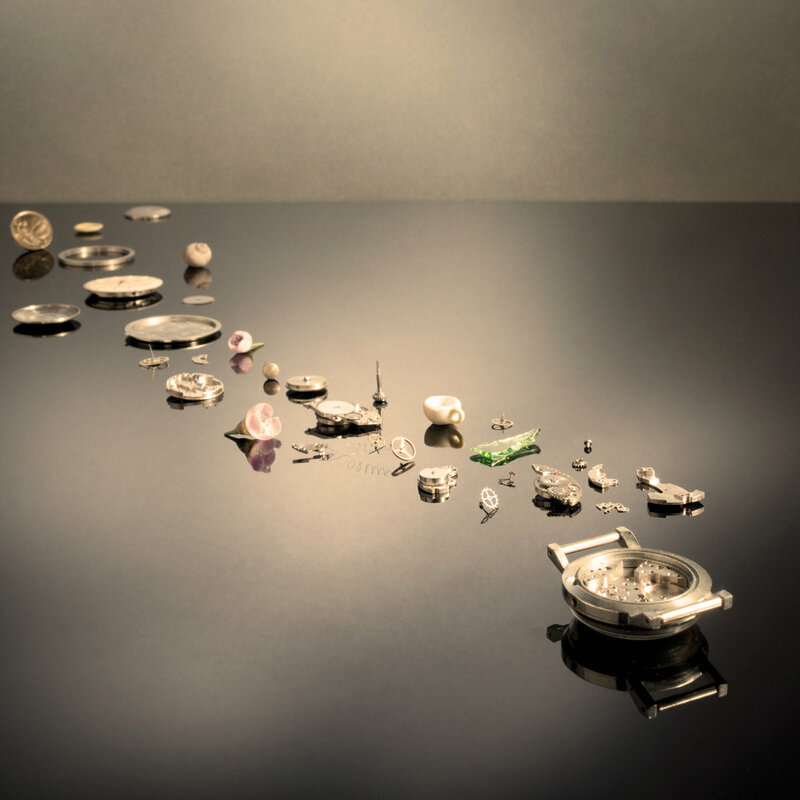 The artwork is again by photographer Gerco de Ruijter. 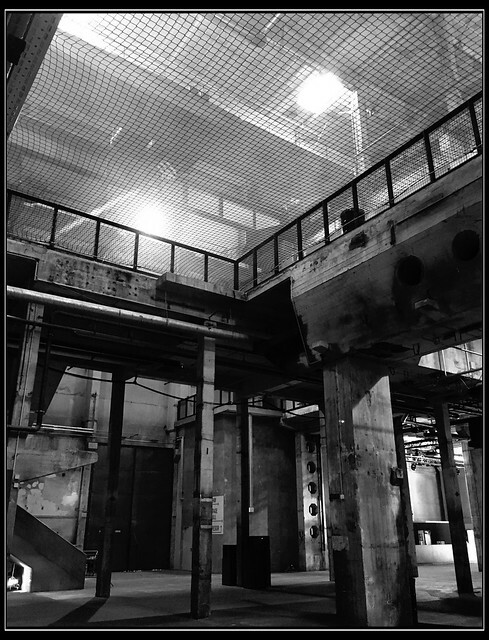 Inside photo by Michel Banabila. Layout by Yasar Saka / Yay Music & Media. 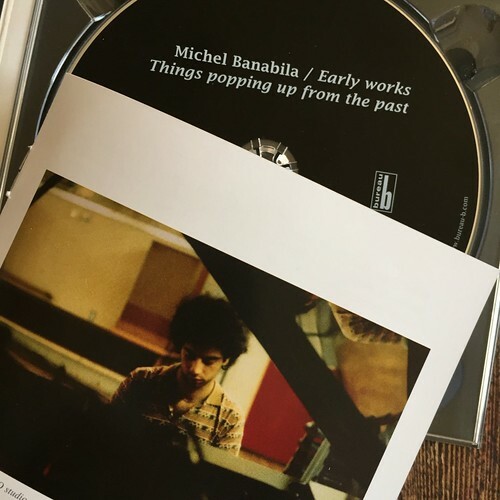 Recorded, mixed and produced by Michel Banabila. 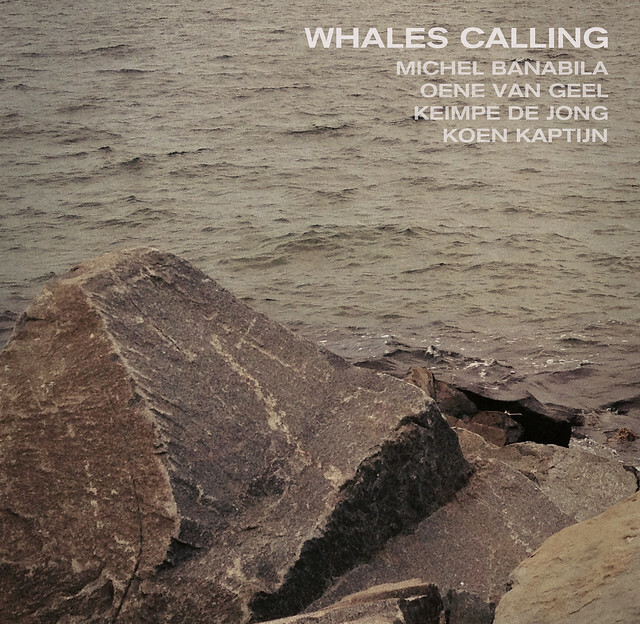 All tracks composed by Michel Banabila and Oene Van Geel. We would like to acknowledge financial support from the Fonds Podiumkunsten for the realization of this album. / 004TR - 2015 ℗ Tapu Records. 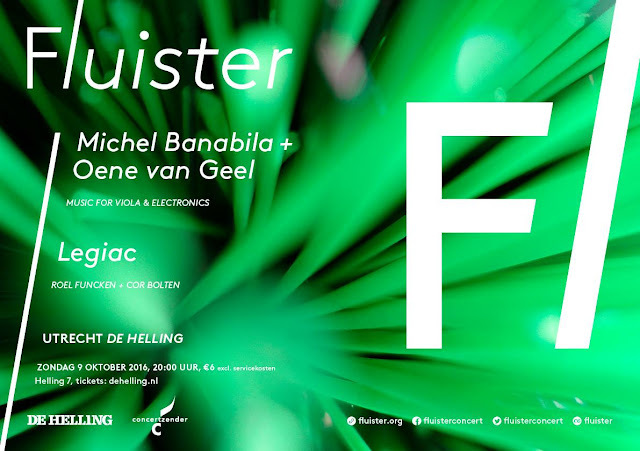 Banabila & Van Geel Live Concertzender 28 december Fluister Festival 2016.